The bamboo hanging of Sevilla, Bohol. It used to be the bridge used by the locals to cross the Sipatan river. Originally this bridge was only made of woven bamboo slats, ropes and some cables. 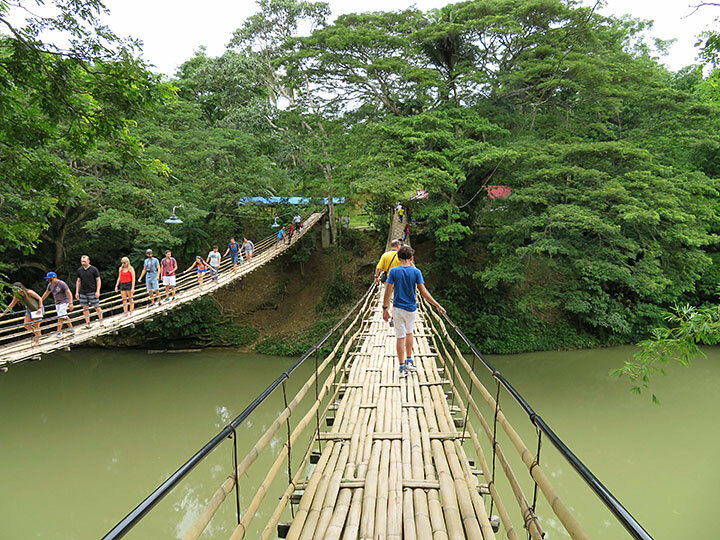 Nowadays this bamboo hanging bridge is one of the tourist destinations in Bohol. This picture has been viewed 276 times.